If you regularly eat butternut squash or pumpkin then you will know what hard work it takes to cut through the squash and scoop out the inner flesh. Well, life has just been made much easier with a new non electric kitchen gadget that will win you over. 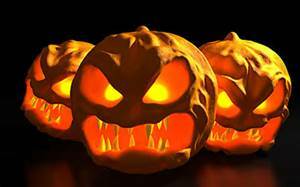 It is particularly useful now as we approach Halloween and the kids want to carve the largest pumpkin they can find into a scary night light. 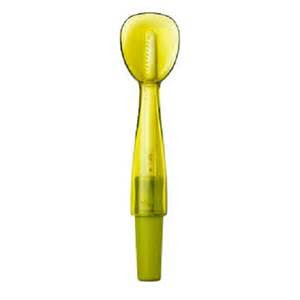 The scoop saw is an ingenious little device, billed as a tool for preparing melons and squash, which it does with ease. However, it comes into its own with the annual task of pumpkin carving. The saw glides through the pumpkin skin while the plastic scoop makes easy work of the flesh and seeds. At only £10 from UK high street store, Debenhams, the 'Chef'N Scoop Saw is worth buying just for Halloween carving, since its compact design won't take up much kitchen-drawer space. Admittedly, I found the saw a little flimsy and its best for fairly simple pumpkin designs, but it's still good value. The blade nests inside the handle of the scoop for safe storage. The scoop saw is also safer for supervising kids to use. My 11 year old grandson found it great fun when creating that gruesome ugly pumpkin head ready for 31 October!